Without a Goodbye, grief and transition after the sudden loss of a spouse! 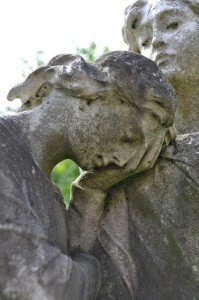 When to instigate change after the death of your beloved? Once you are over the initial shock, and the harsh reality finally hits you, you may wonder if you are ready to instigate change? Most likely, everyone around you thinks that you should, but do not let anyone rush you, take all the time that you need and for as long as it takes. At some point though you will need to redefine patterns to get more clarity and insight in your life. In my experience, life has its own way of letting you know when the right moment has arrived. Once you have learned to accept that the love of your life is not coming back and your day by day is starting to feel empty and unsatisfactory. why this coincidence did not happened earlier! Excellent post however I was wanting to know if you could write a litte more on this topic? important. A lot more people should check this out and understand this side of the story. It’s surprising you aren’t more popular because you certainly have the gift. post at at this time. definitely continue your great writing, have a nice weekend! Stay up the good work! You realize, a lot of persons are hunting round for this information, you could aid them greatly. on this subject? I’d be very thankful if you could elaborate a little bit more. Thanks for finally talking about >When to instigate change after the death of your beloved? this certain information for a very long time. Thank you and good luck. I am so grateful for your post.Thanks Again. Great. I just want to mention I am new to blogging and really savored your blog. Probably I’m going to bookmark your blog . You definitely have exceptional well written articles. Bless you for sharing with us your blog. Say, you got a nice blog.Much thanks again. I just want to say I’m newbie to weblog and definitely enjoyed this web page. More than likely I’m want to bookmark your blog . You amazingly have outstanding posts. With thanks for sharing with us your webpage. I抎 need to verify with you here. Which is not one thing I often do! I enjoy reading a submit that will make individuals think. Additionally, thanks for allowing me to remark! site. I am hoping to check out exactly the same high-grade blog articles on your part down the road at the same time. Hello, this is a good website. I love it. Please notify me when you have more update. you’ve gotten a great blog right here! would you prefer to make some invite posts on my weblog? Howdy! I simply want to give a huge thumbs up for the nice data you might have here on this post. I can be coming back to your weblog for more soon. When denial is no longer an option. Accepting the death of a loved one. how to pick powerball numbers on When to instigate change after the death of your beloved? Adidas NMD Runner PK Black Blue/Black on Time does not heal all wounds. click through the next web page on A Spiritual journey. linked resource site on Without Goodbye. Death is a state of mind, not an end.